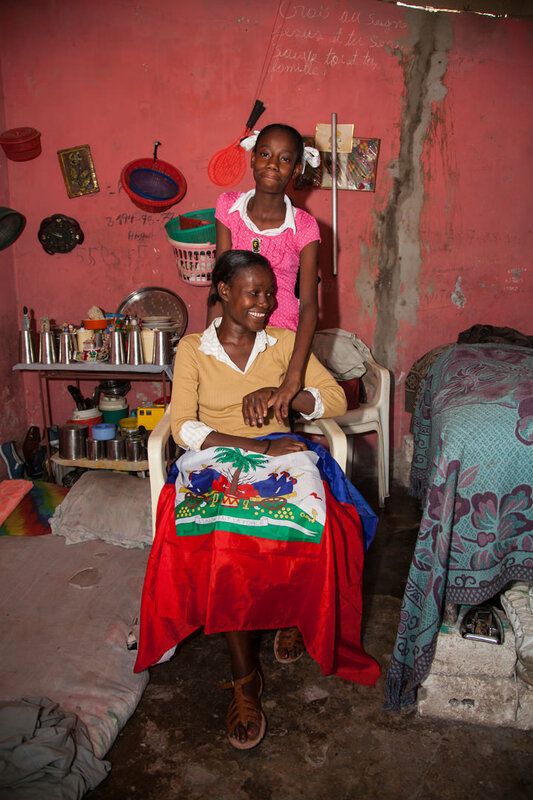 “Heroes are made by the path they choose, not the powers they are graced with.” The Haitian Heroes Project is all about the Children of Haiti and the enormous potential that lies within them. Too often they have been referred to as a lost cause – without goals, without perspective, without talents or skills worth mentioning. This perception is fundamentally wrong. Many of their stories are proof to the fact that they have grown – against all odds – to become exceptional little heroes. But to fully tab into their future potential, they will need our help! Only a year ago they had moved into this house together. Olivier went to school; his mother found work with the MEVA project and began to study. Their new home was a step towards a better fu- ture and a lift out of the poverty that had continuously accompanied them since Olivier’s father had abandoned them after his birth. Olivier is lively, sometimes overexcited suffering from a missing father figure. But he is also sensitive, very perceptive and driven by an infinite love towards his surroundings, the people around him and above all the love towards his mother. The two give each other strength. They are a team – invincible! When finally Maria takes all of her strength to call her son’s name one last time with tears in her eyes, something she thought impossible happens: she receives an answer! „Mom, save me! Mom, I‘m here! I‘m thirsty, Mom! „ The neighbors heard Oliver’s cries to his mother and immediately jump in to help free him and reunite him with her. With hammers, sticks and bare hands they dig deeper and deeper, moving the rubble stone by stone. Olivier’s hands, legs and his head are seriously injured. But he is not afraid. He slept very deeply is what he says later on. While under the rumble, what kept Oliver’s spirits alive was his faith and the light he saw even while buried. Oliver’s religion and belief in God, gave him the assurance he needed that he would be ok. Deep down inside he knew he would be found, he knew that he would stay around, if only for one thing, for his mother. After that ordeal, both Oliver’s faith and bravery continued to shine and give him the will to survive. 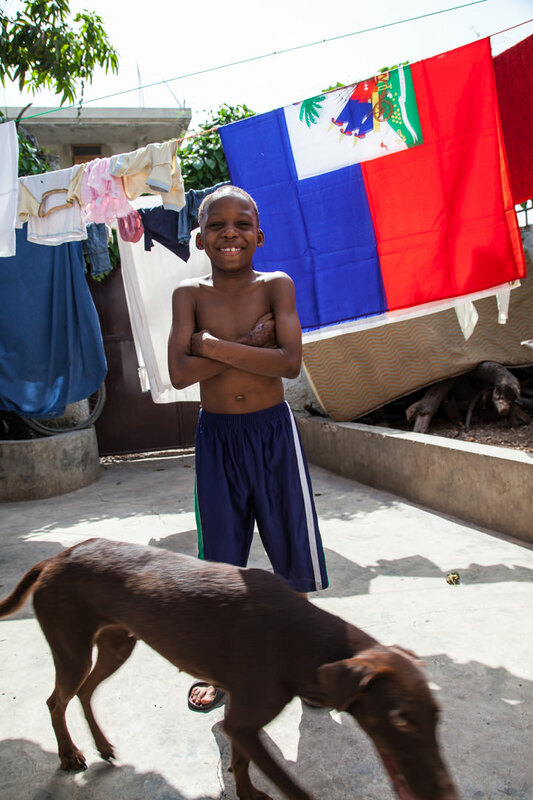 After a short stay in a Haitian hospital, Oliver was moved to a facility in the Dominican Republic that was better equipped to restore his health. Despite 10 surgeries, with many more to come, Oliver’s charisma and zest for life is ever present–he is driven by his courage and will to survive. In his eyes, his scars and his experiences are proof that he’s made it. He’s proud of them and is happy to speak about them with anyone who wants to learn more. Determined to succeed, determined to will and determined to believe, Oliver is not allowing this earthquake to remove him from his country or people; his goal is to build an earthquake proof house for him and this mother so in his eyes there is no room for sadness, only moving upwards and onwards. Those are words you would expect to hear from a stranger, not from your mother. But that is where Cassandra’s story begins. At nine years old she has become the personification of her mother’s failures, shame and despair. After escaping and arriving at her aunt’s house, a day later, Cassandra is barefoot, exhausted and in tears. At just nine years old she looks like a fallen angel – marked by exploitation, violence and suffering. A week later she joins the MEVA orphanage, but integrating her into the daily routines is not easy. Cassandra often rebels and is caught stealing several times, but not because she wants to keep it for herself. She takes money from the household budget of the orphanage to buy candies, cookies and chocolates for the other children. She feels obliged to reciprocate the gesture of her friends who often share small candies with her, which they bring from home. Though it is understood why she steals, the staff has worked with her, explaining why stealing is wrong and teaching her other ways to show her affection. Cassandra is a bright light at MEVA—always happy, smiling and isn’t easily discouraged. She has taken on the role of big sister to the “little ones” in the orphanage, taking care of them and entertaining them with her comedic interludes. Although daily life can be someone of a struggle, she still dreams big. When she grows up she wants to be a teacher and travel to India wear the traditional Indian robes and jewelry. Though her mother still lives alone Cassandra supports and helps with the housework when she is visiting. The path to a healthy relationship between them will not be an easy one, but they both know it is for the best because they only have each other.